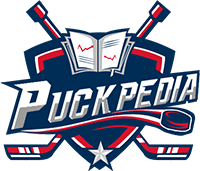 PuckPedia is the Ultimate Source for Hockey Fans and Professionals, so we want to hear from you! How can we make the site better? Find any errors or items that need updating? Members of the media, please contact us if you would like assistance with any salary cap or CBA questions, or would like access to the underlying data. Anything posted on PuckPedia may be used or referenced as long as credit and a link is provided.